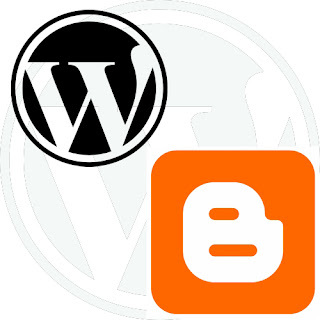 Going start your blogspot blog or wordpress website, and have confusion that Blogger Vs Wordpress 2013 and looking for review, advantages differences. Webmaster who wants to have advertisement on their websites must learn and think about what they should do before start! On Internet there are a lot of options to choose free blogging platform and two of them are highly popular as all webmaster use it, wordpress vs blogger. Both platforms have powerful features due to which they are companion. On this post, you will have clarification that what should you have and what is best for webmasters. That means, if webmaster has a platform that is available for all devices which are used globally. For e.g. : people having a html platform will not have information that their websites are not responsive according to devices type. A good looking website may have different look in low resolution. So choose a platform that support responsive nature and both blogger & wordpress support responsive Nature. A good looking and easy dashboard for manage your blogs with ease options. If you choose blogger , you will get a blogspot domain as for e.g. Yoursite.blogspot.com and of course you can change it to custom domain name as you want. It will charge some money as per domain fees. No need to have knowledge of coding or say html (but basic required), you just need to write content and select category as your content nature. And for publish the content you need to press publish button at upper right. Important and very informative for users who want to have advertisement on their blogspot. Blogger offers an adsense tab through which you can apply for adsense and may have ads on your blog. Wordpress is another platform and preference for webmaster. It is an advanced platform and has extra features as compare to blogger. Wordpress is an open source CMS that is why many people prefer to have this. There are a lot themes for wordpress 2013 and can be downloaded freely. Wordpress offers widget and plugins which makes it unique and important as compare to blogger. You can install free plugins through its market. For monetization of wordpress, you can integrate your third party affiliates or adsense programs as your requirement. Webmaster who want to have complete structure in view of blogging must go for wordpress.